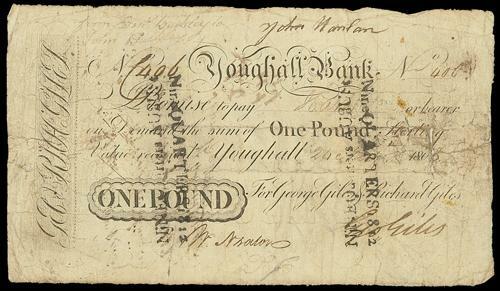 Youghall Bank £1 signed by Giles. Date looks like 1800 or 1806. Anybody able to make it out? It is difficult to read the date but I think it is 1808. I attach another example from 1809 where the date is easier to make out.